Newly released video–His Holiness Penor Rinpoche receives an offering of Jetsunma’s music! This video was just released to youtube by Ani Aileen. In it His Holiness Penor Rinpoche receives an offering of Jetsunma’s music—see how he responds! News of Jetsunma’s music is making waves in the Buddhist world! We wanted you to see this item about Trilogy that appeared yesterday in MahaSangha News, a blog on the Shambhala Sun website. Let’s keep on getting the word out! Trilogy is available as a CD! “At last! 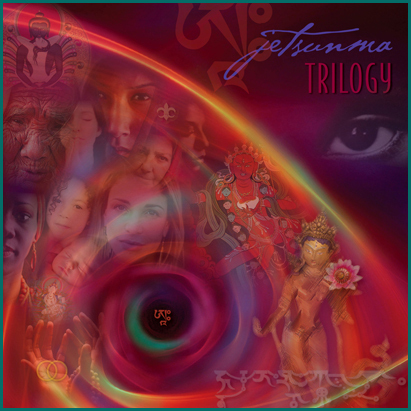 “Trilogy” by Jetsunma is available as a CD! Jetsunma’s work as an artist is unprecedented: the spiritual power of Buddhism as only the open-hearted love of a woman–a mother, a daughter, a sister, a lover–can express. 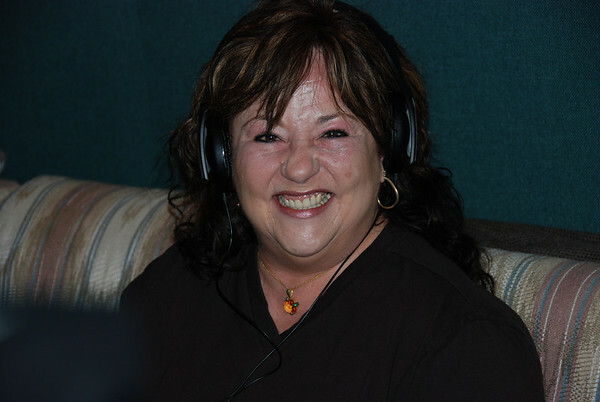 Jetsunma and the band completed the foundational recording for the Lineage of Queens Album. There remains a bit of work with finishing up the vocals and other instrument tracks, but the fundamental recording has been completed! By this effort may all sentient beings be free of suffering and the causes of suffering! See Editor’s Pick on CDBaby. The musicians, Tex, Jimmy and Lewis had fantastic timing. They all arrived in time to meet Dragmar Tulku, who was in town to give teachings at Kunzang Palyul Choling, Jetsunma’s temple in Maryland. Here Lewis, Jimmy and Tex get a lesson from Ani Dolma in presenting the traditional scarf to the spiritual teacher, or Lama, in preparation for their meeting with Dragmar Tulku. The band tell their stories to Rinpoche while Tashi Phyllis (their tour guide for the temple trip) looks on. Dragmar Tulku Rinoche enjoys the musicians stories, and asks if they would play with him in India! Jetsunma on CBS Evening News! Nashville, TN. Singer, songwriter and realized Tibetan Buddhist master, Jetsunma Ahkön Lhamo, releases Trilogy. Accompanied by John Lennon’s former (post-Beatles) lead guitarist, Wayne “Tex” Gabriel (http://waynegabriel.com), Jimmy Mac, former bass player for Sly and the Family Stone, and drummerLewis Winfield, three new songs are now available for download at http://www.jetsunmamusic.com. 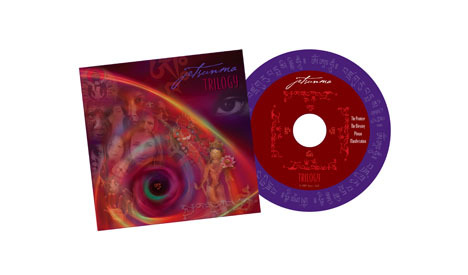 Trilogy is a taste of Jetsunma’s latest CD, A Lineage of Queens, to be released in late Summer 2009. Jetsunma’s soulful, earthy musical style and to-the-bone lyrics, layered with ancient Buddhist mantra chants could be described as inspired World Music. Her ultimate hope through music, song and sacred mantra is to uplift the women of the world-too long suffering their diminished status. A Lineage of Queens, in production now, celebrates the heroine, the divine feminine, and the embodiment of wisdom and compassion–the dakini or female wisdom being. 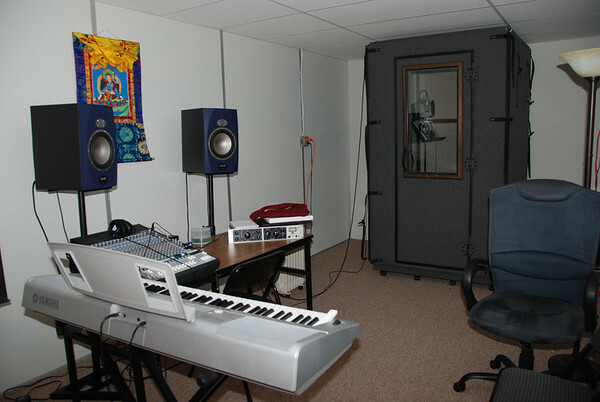 Jetsunma’s lyrics are filled with the promise, vows and resolve of fearless compassion for the benefit of all beings. Listen to Jetsunma’s new songs! 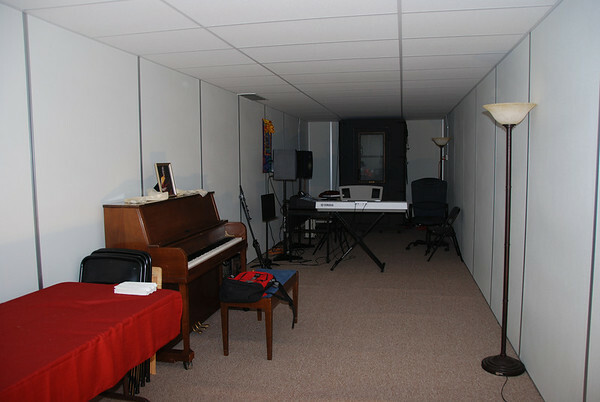 Jetsunma loves her new studio here in Maryland and has already been hard at work. Miracles are pouring forth from this living Buddha. May all of Jetsunma’s aspirations be fulfilled. May the work of this Lama expand throughout all realms for the liberation of all sentient beings.